I always bring a camera along when taking Cam for his golf lessons. Sometimes I stroll around and shoot the scenery with my iPhone and other times I bring a DSLR and focus on the macro elements, such as the flowers and other landscaping elements. 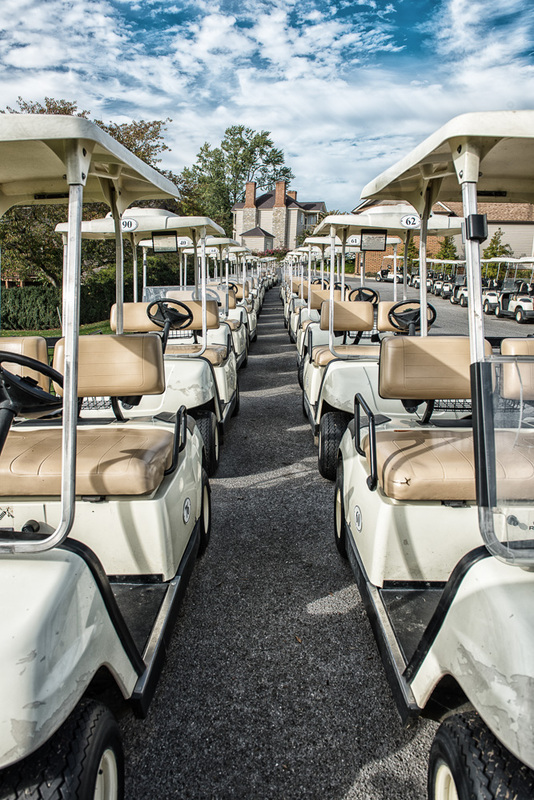 On this day they were preparing for a tournament, and almost all of the golf carts were parked out front. The gathering provided for a fun image, and I played around with it using Color Efex Pro 4. I used my D800E for this image, and it was edited using the Bleach Bypass and Detail Extractor filters. This photograph is simply G for Gorgeous. The details, the shadows, the lighting – all amazing. Great capture here. Thanks so much! I’m so glad you enjoyed it; it was fun to play with this one!